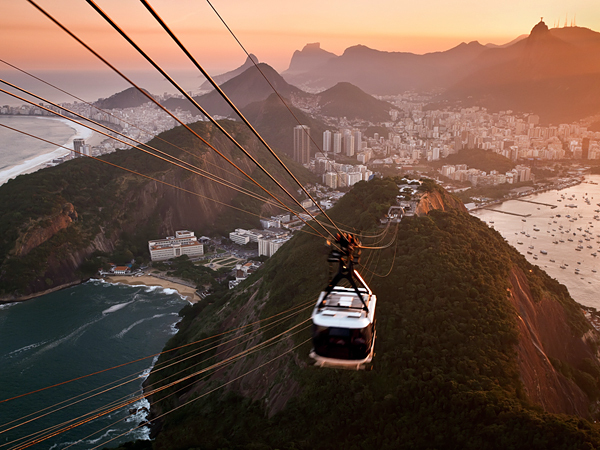 I was on Reddit, a popular crowd-sourced news site when I noticed one of the breathtaking photos of Rio, shot from atop the highest point at Sugarloaf Mountain. Of the more than 500 comments it garnered, the most interesting, or rather surprising, were by a mix of about 10-15 people made up of Brazilians and non-Brazilians, with all of them basically saying “Rio = favelas”. Of the non-Brazilians commenting, half of them had been to the city. One of them vaguely mentioned something about ATMs being blown up by gangs, and another, of his love for the city but his absolute fear for his safety. The most level-headed response was by a Brazilian who acknowledged Rio’s pluses and minuses, which any city has. But if we are talking about the negatives and, more specifically, agreeing about the possible danger aspect, then I must be really lucky to have spent 24 months (give or take) in a city of such contrasts, without incident of any kind and without coming across any shady characters. This may have to do with the fact that I try to blend in, and that my usual wardrobe consists of jeans or shorts, a t-shirt and havaianas. No watch, no jewelry, no extra cash, nothing fancy. On the flip side, having worked at a few of the city’s hostels, I heard more stories of bad things (ie, theft) happening to the hostel guests than I ever did when speaking to non-tourists and locals. Why? I think it simply comes down to unfamiliarity and descuido. In terms of the pluses, short of Cape Town, South Africa or Yangshuo, China, there isn’t anywhere in the world (that I can think of) where the geography is as spectacular as it is in Rio. I can testify to it, having trekked many of its mountains. And if we’re talking beaches, from its easiest-to-get-to all the way to its hardest to reach, it’s almost impossible to compare them to those of any other country or place, shy of tropical locations like Hawai’i and Thailand. Population-wise, there are so many people, both rich and poor, crammed into the Zona Sul and its immediate surroundings because it’s just that good to find oneself so centrally located in one of the most awe-inspiring places in the world. One of the main reasons is that it makes a trip to the beach, the supermarket, or meeting up with friends that much easier and stress-free (as long as you can deal with the crowds at peak hours, of course). As for meeting friends, I can’t tell you how many times I left my apartment at 10PM and arrived at the meeting place, where my friends were at, in 10 minutes, at most. Even when I lived “far away” in the Zona Norte, there were certain buses at night that would get me where I was going, and back, in 30 minutes tops. After living for over 2 years in Rio, from the nicer neighborhoods to the favelas, as well as in some removed suburbs and neighboring cities, I can recognize Rio’s minuses, including the sometimes criminal side…but to discard its pluses is, to me, a crime in itself.